lights by flos. | owl's house london. How do you make a relatively uninspiring product – a recessed downlight – look exciting and new? Here’s how. 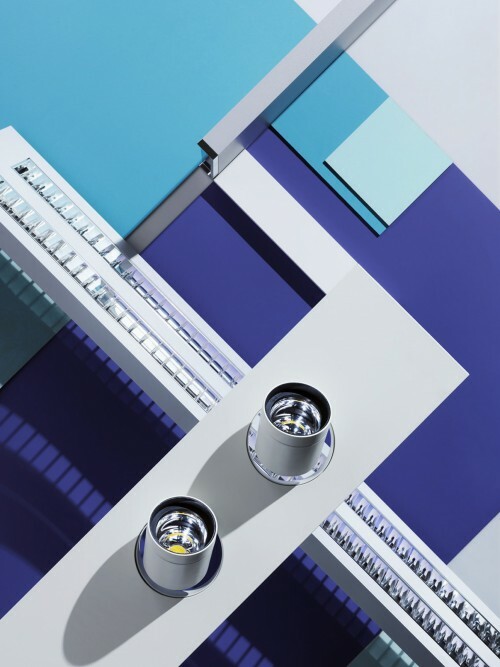 Reminiscent of a Mondrian painting in contemporary colours, it takes a second look to realise these beautifully styled, geometric images are actually spotlights, downlights, linear strip lights. This entry was posted in found objects. and tagged Carl Kleiner, downlight, Flos, lighting, Mondrian on May 2, 2013 by owls house london..
Amazing photography, it did actually take me a while to work out what they were! This is a lesson to all lighting companies on how to capture their products! yes, I was amazed when I first figured out what they were. I’ve never seen lighting photography and styling quite like it before! My favourite lights are by Mizar of Verona, we have bought many types over the years. Great post. My pleasure, thanks for such a great blog. Pingback: objects of beauty in genk. | owl's house london.